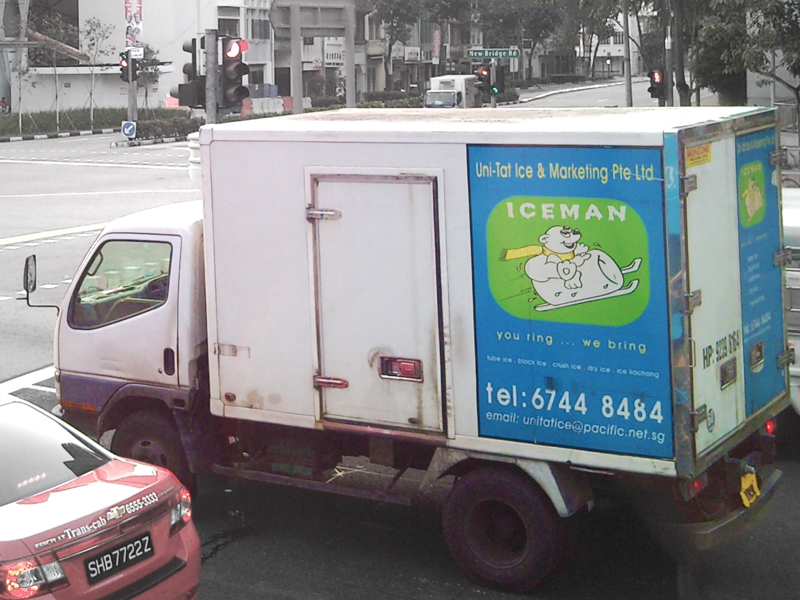 I’m fascinated by the commercial vehicles in Singapore, especially JM Ice trucks. J.M. 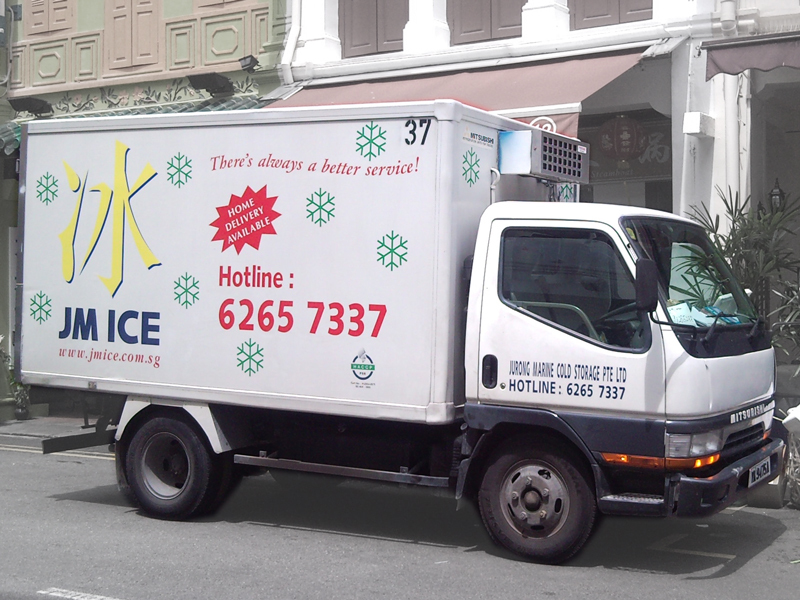 Ice: There’s always a better service! Iceman: You ring, we bring. Descriptive, concise, memorable. Could apply to anything being delivered, though. 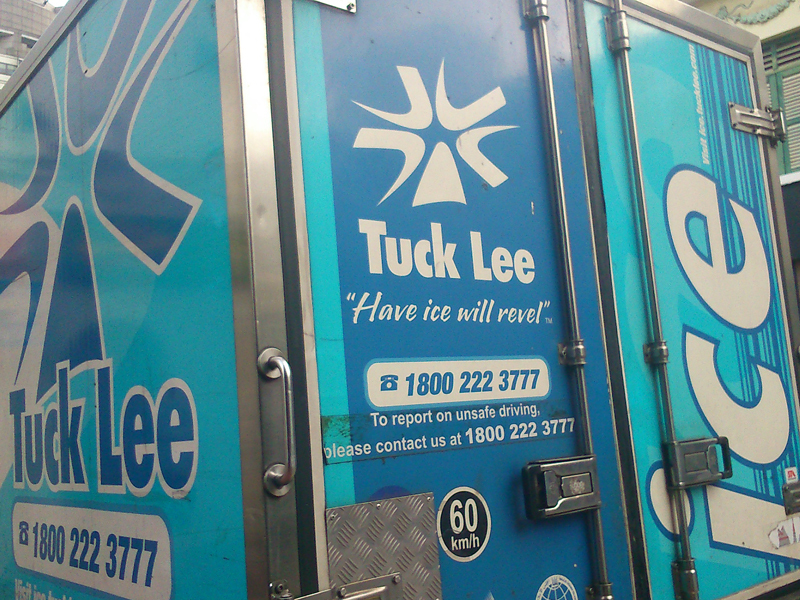 Tuck Lee: Have ice will revel. So pithy, clever and downright hip, it’s no wonder they trademarked it! You win, Tuck Lee.